On July 28th music production legend Eelke Kleijin will be delivering a three-hour set along Maxo and Roukin, making for an iconic night at AVALON Hollywood. Eelke Kleijin is a rare producer; he has the ability to explore beyond electronic music production and get involved in the film scoring realm. From making movie soundtracks for “Wrath of the Titans”, to being featured on BBC Radio 1’s “Essential New Tune”, Kleijin is a versatile artist who, in addition to film scoring, has released two original dance records “Untold Stories” (2010) and “Naturally Artificial” (2007). Taking the DJ circuit internationally and performing from Ultra to ADE Festival, the producer holds over a decade of DJing experience. 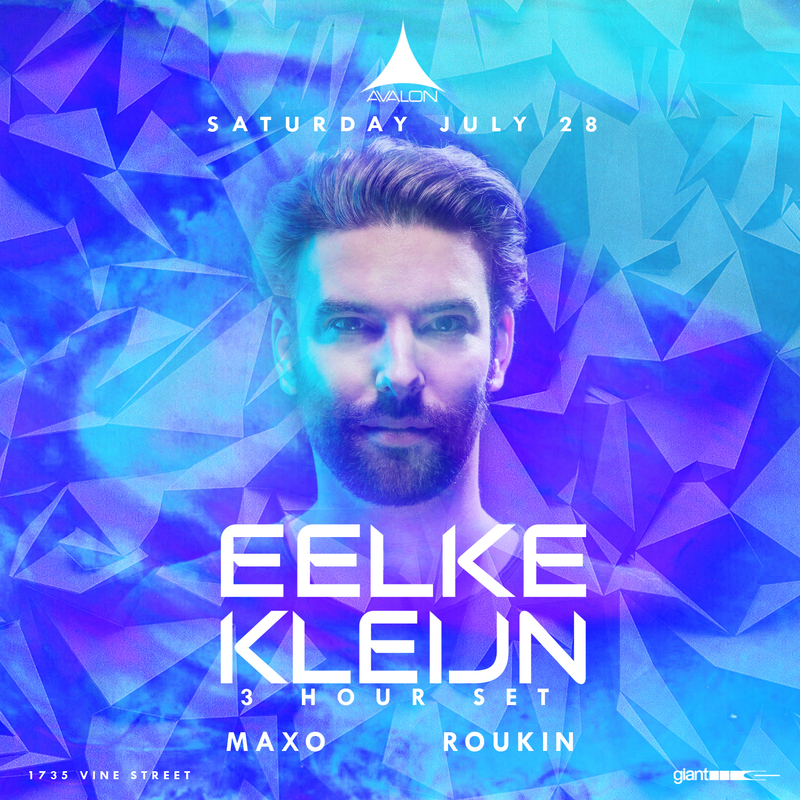 With his sound varying from techno, to underground, to melodic house, Kleijin’s AVALON set is sure to be an exercise in versatility.